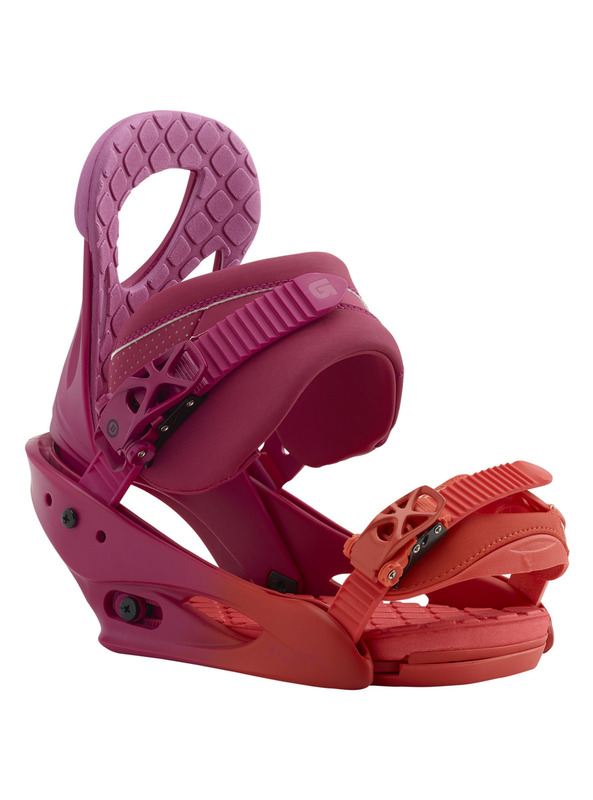 The Burton Stiletto binding is one of the most popular options in the Burton line, boasting women’s-specific features throughout for lightweight, feelgood support. Canted hi-backs cradle the natural contours of your legs, while a bed of cushioning lays the foundation for consistent board control and softer landings. Re:Flex™ gives you more flex and feel than traditional disc bindings, along with universal compatibility to mount these bindings on any board in the shop. Softer flexing than the Scribe and with more performance than the Citizen, the Stiletto delivers versatility and comfort that makes it easy to advance your skills.